Sony Computer Entertainment Inc. (SCE) today announced that a new PlayStation 3 (PS3) computer entertainment system (body color: charcoal black / classic white), featuring a new design and a downsized form factor, will become available worldwide this holiday season. 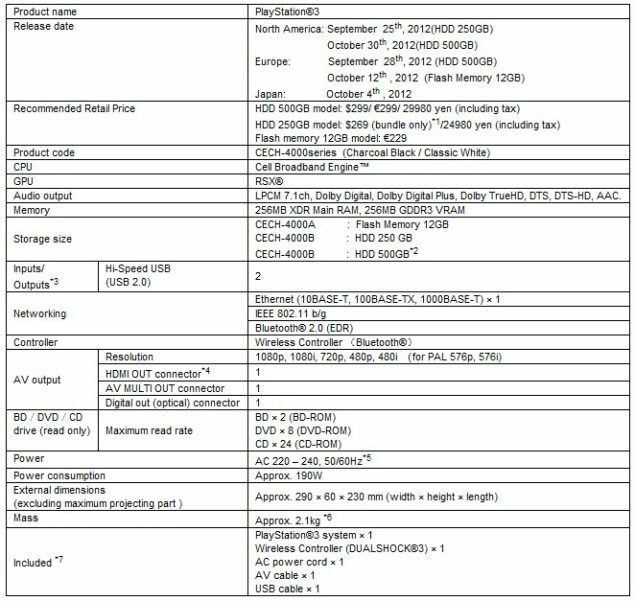 The new PS3 will come in 3 models including extended built in Hard Disk Drive (HDD) capacity of 500GB model and 250GB model, and a newly added 12GB flash memory model initially for Europe only. Thanks to a complete redesign of the internal architecture, the volume and weight of the new PS3 has been reduced by more than half compared to the very first PS3 model with a 60GB HDD, and by 20% and 25% respectively compared to the current PS3. 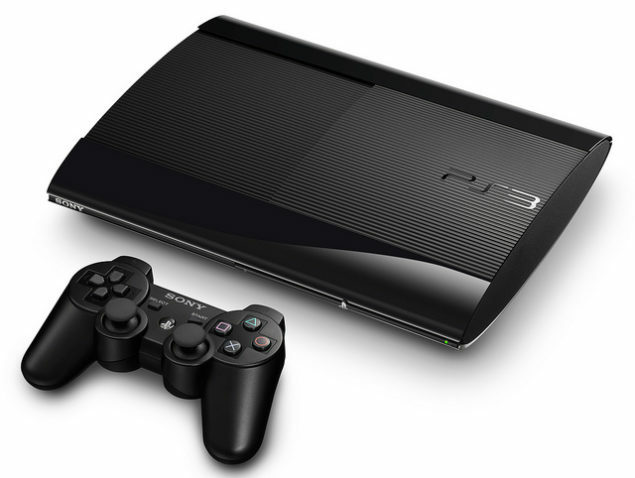 By adopting a sliding disk cover, the new PS3 continues with the characteristic sleek curved body design, which fits various places in the home and enables users to enjoy an array of entertainment content. With the extra HDD capacity which has been extended from 320GB and 160GB, users can store and enjoy more and more entertainment content including games, music, photos, and video on the new PS3. In addition, the new PS3 with 12GB flash memory offers opportunities to experience the world of PlayStation at an affordable price point. Users can also expand the storage capacity of the 12GB flash memory PS3 by connecting a dedicated HDD (250GB) to be released concurrently with the new model5. In addition, a variety of accessories will be introduced by SCE to meet various kinds of needs from users including a vertical stand that offers more flexibility in how the new PS3 can be displayed. Since the launch of PS3 in November 2006, the number of BD-based titles has reached more than 3,300 titles and more than 4,100 downloadable PS3 games are available worldwide, thanks to support from a broad range of third party developers and publishers. In addition to this extensive software title line-up, exciting and attractive new titles are to be released from third party developers and publishers as well as SCE Worldwide Studios, including Assassin’s Creed III (Ubisoft Entertainment. ), Call of Duty Black Ops 2 (Activision Publishing, Inc.), Madden NFL 13 (Electronic Arts Inc.), PlayStation All-Stars Battle Royale, LittleBigPlanet Karting, God of War: Ascension (Sony Computer Entertainment), and more. SCE will further accelerate the expansion of the PS3 platform which is in the 7th year of its lifecycle, by continually releasing a vast library of exciting and attractive software titles and offering users a choice from a variety of hardware models.